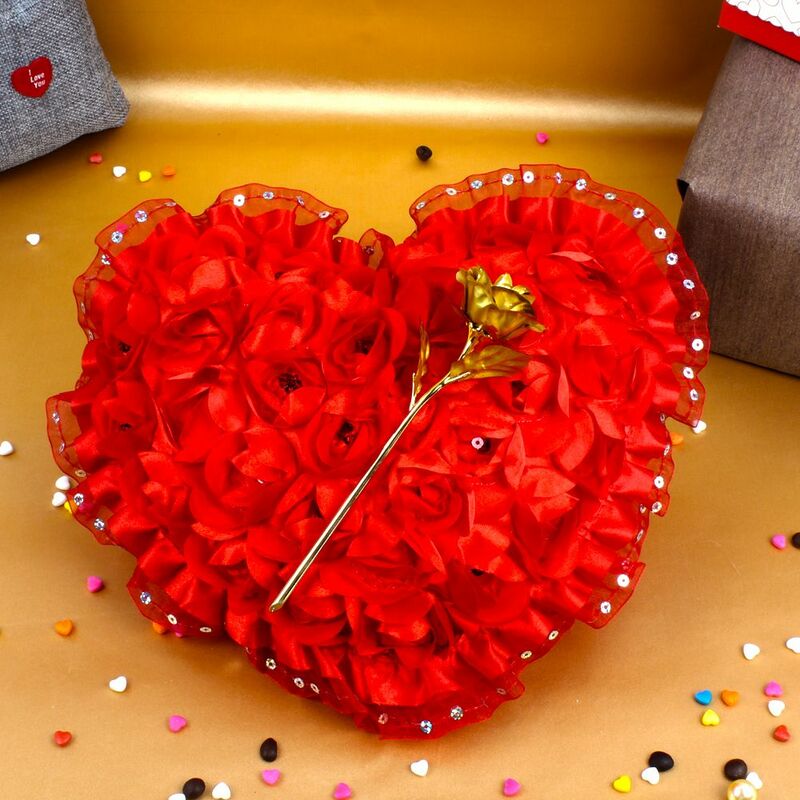 Product Consists : Decorative Red Roses Heart Shape Cushion (Approx Size : 9 Inch) along with Gold Plated Golden Rose (Size : 6 Inch). 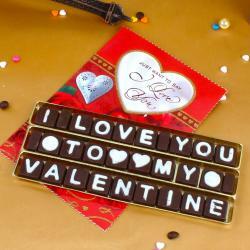 Giftacrossindia comes with Valentines Day special gifts collection. 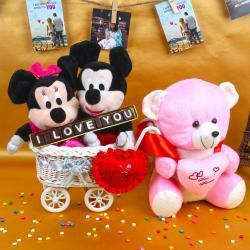 This hamper includes Heartily Love is best expressed with a Loving Heart cushion which decorated with red roses created with red ribbons. 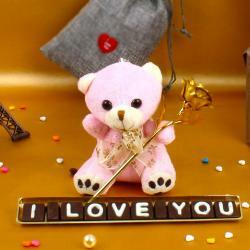 Your love feeling is priceless but so much valuable for you then why to express it with precious gold plated rose. Crown the perfect delight of gift to them and let them rejoice aura of love. So, go ahead and buy this now. 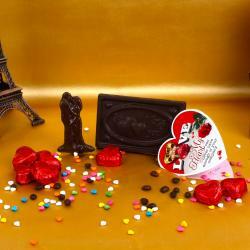 Product Includes: Decorative Red Roses Heart Shape Cushion (Approx Size : 9 Inch) along with Gold Plated Golden Rose (Size : 6 Inch).